Rajasthan Chief Animal Husbandry and Dairy Development. We are uploading rajasthan Gk one by one topic upload important questions today uploading about Rajasthan Chief Animal Husbandry and Dairy Development and Animal husbandry is a major source of employment. … Ranching business economy of the state has benefited from a number of direct and indirect components. Animal husbandry not only rural people get permanent jobs, but also pave the way for the development of livestock industry is based on and Sheep – about 25 percent of the country’s total sheep are to be found in Rajasthan state is approximately 2 million families engaged in animal husbandry. This is the major strains of sheep. 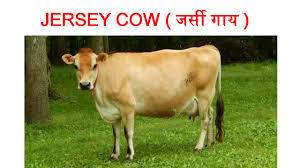 The lack of animal-based industries: – Rajasthan wool, milk and leather is available in sufficient quantity and this topice always useful for RAS,IAS,1st.2nd,3rd grad teacher, and gramsevk,patwar,rajasthan police SI, RRB, Railway joint preliminary examination non-technical, favorable Station Master, Goods Guard, Isiarsi, commercial Aprantis And all Railway exams and other all Competitive Examination..